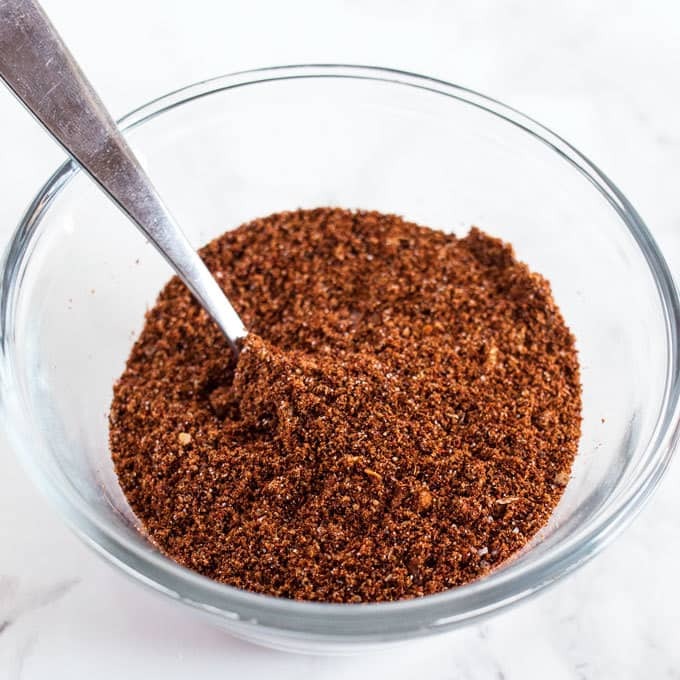 Homemade taco seasoning is so easy to make you will never buy it at the store again. Just a few spice from your spice rack and you’re ready for tacos! One of the things I looked forward to when I planned my wedding was setting up a gift registry. For some reason, I thought walking around a store with a price gun, scanning things we needed or wanted was going to be a fun experience. Anyone who has ever created a gift registry knows that my imagination was very wrong. It was a very long, brutal day. One of the things we registered for and received was this a pre-filled spice rack. I have used just about every spice in it – some jars I have even had to refill (Herbs de provenance!). But one or two I never had a reason to touch, so today I decided to replace one jar’s contents with one of my favorite spice mixes – homemade taco seasoning. I really love tacos; I even used to have a slight obsession with Taco Bell. I think one week I went there 5 times (twice in one day). Thankfully I have grown out of it… making tacos at home is my new obsession. I love piling my toppings high on each taco which you can’t really do if someone else is making your food. Soft shell, hard shell, taco bowl – it’s all perfect to me. Steak, beef, chicken or fish – they are all delish. Haha, tacos are even making me rhyme. I found a taco seasoning recipe on allrecipes that I liked but it wasn’t quite right. So I changed it, as is my way. 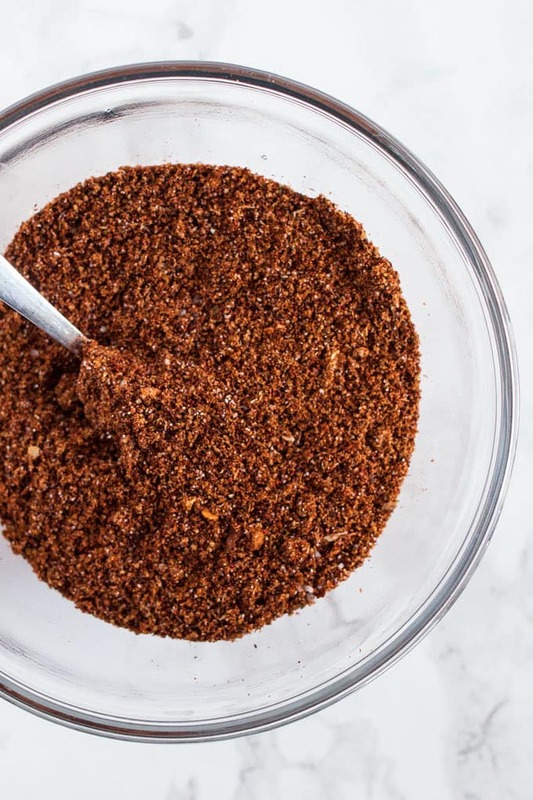 This recipe is so easy you will never want to purchase those taco seasoning packets ever again. What kind of tacos do you like? Let me know in the comments and share with me your favorite way to eat them. Store in an airtight container between uses. Use about 3 tablespoons per pound of meat. Thanks for sharing this! In Europe it is not that easy to find taco or burrito seasoning. Tt happens many times that I have to put it together myself and it never comes out to the same taste as in the prepared seasoning packets. I’ll give this one a try! If you can find Mexican oregano, use that. If not, traditional oregano works just as well!! I’ve never heard of Mexican oregano before but I’m in So Cal so should have no problem finding it. Thanks! I just love making my own homemade seasonings. 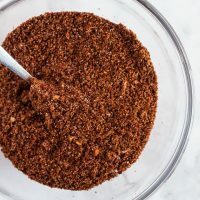 My taco seasoning recipe is a little bit different so I can’t wait to try yours and see what my family says. This is such a nice idea. 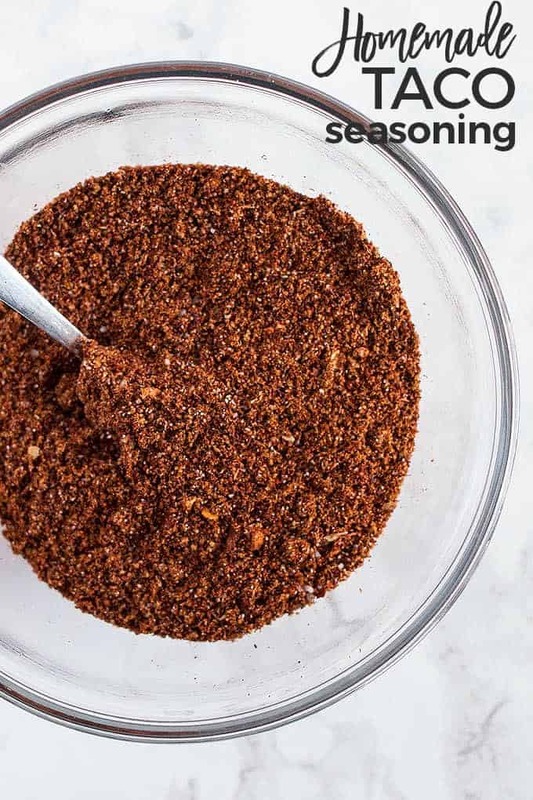 I haven’t tried making my own taco seasoning and this sounds perfect! Thanks for sharing at Fiesta Friday party! Just wanted you to know that I featured this on the create link inspire party. Thanks for linking up!